These cookies were easy to make and tasted great. I made them for Eid Al-Fitr and they were a big hit. 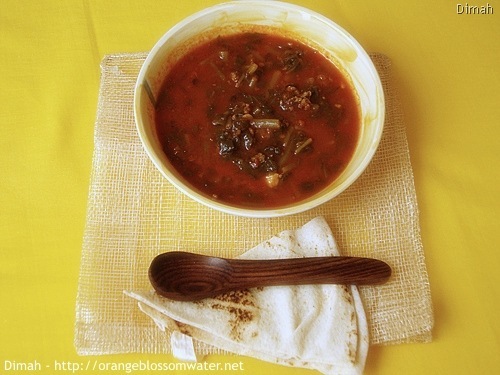 Baqleh Bel-Bandourah is purslane cooked with meat and tomato paste. Baqleh is the Arabic word for purslane. 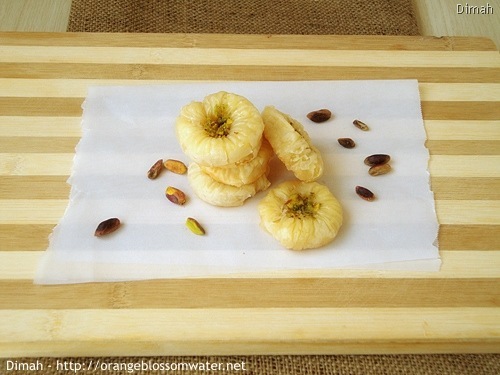 Eswaret As-Set is known in other countries as “Barma” or “Ush Al-Ghorab”, the name in English means “Lady’s Bracelet ” or “Lady’s Wristlet”, it is prepared from phyllo dough that is formed to round shape, then melted ghee is added to each piece, then baked in the oven, then sugar syrup is added and the center is covered with crushed pistachios. 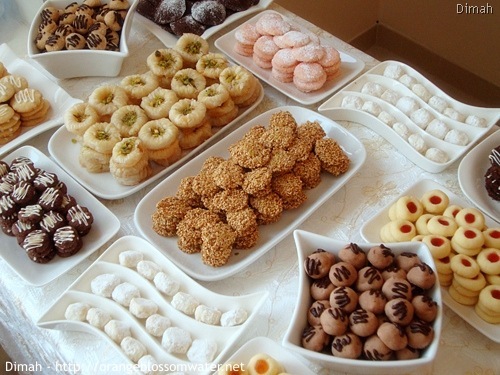 I made Eswaret As-Set for Eid Al-Fitr. 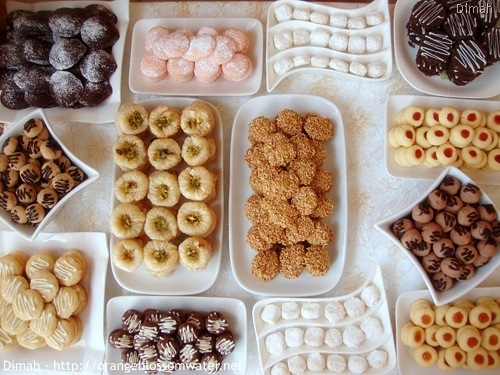 No recipes for today, but I want to share with you the list of sweets I prepared for Eid Al-Fitr (last year’s post Eid Al-Fitr, Sweets – 2009). 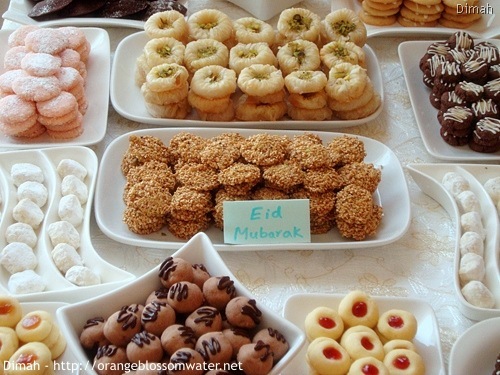 Eid Al-Fitr “Smaller Eid”, is a Muslim holiday that marks the end of Ramadan, the Islamic holy month of fasting. 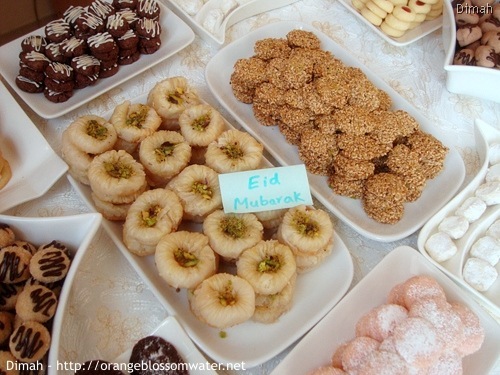 Today is the first day of Eid Al-Fitr.